Ibarely have any products from Nintendo so I'm already giving up hope that I may get my geeky hands on these Super Mario Commemorative Pins they're giving out to Club Nintendo Platinum members. 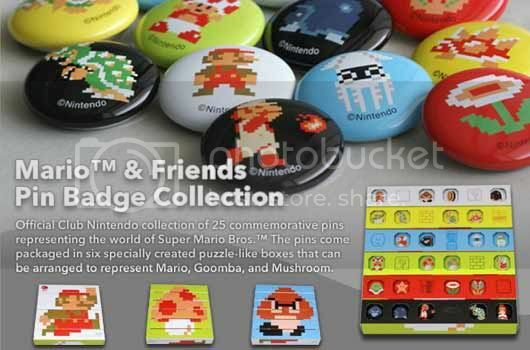 So if you feel like you've accumulated around 600 coins in your Club Nintendo account be sure to login and claim your gorgeous pin set. You can send me a couple if your feeling all generous right about now.